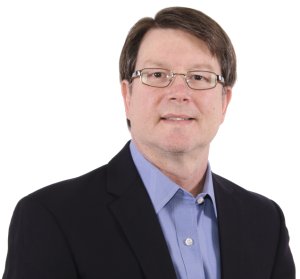 DALLAS – Dec. 4, 2018 – Doug Dickerson has joined Razberi™ Technologies as CEO to propel its growth in the video surveillance security arena. He brings more than 25 years of technology industry experience to the role. Founder and former CEO Tom Galvin has been appointed chief product officer to spearhead continued development of the technology he originally invented. Dickerson will focus on expanding sales of Razberi solutions across geographies and vertical markets such as energy, finance, city surveillance, and more. These types of customers increasingly depend on Razberi’s data center, edge, and rugged applications to secure their critical assets and scale with them. The company sells through a growing list of security integrators and value-added resellers. Building upon Galvin’s invention of the Razberi ServerSwitchIQ™ appliance, Razberi has continued to innovate with award-winning products such as Razberi CameraDefense. This solution enables security pros to consistently implement automated cybersecurity best practices without requiring additional firewall products and special expertise. CameraDefense hardens IP cameras, networks, and other IoT devices, defends the video management system (VMS), isolates the camera network, and provides 24×7 cyber threat monitoring. Doug Dickerson has held leadership roles in both start-up and large public companies. Most recently, he served as CEO of Coban Technologies, a video SaaS company offering artificial intelligence-based mobile video systems. Before that, Doug was president of Danaher Tektronix Communications, a network management software and hardware company. Designed to meet the needs of any sized organization, the Razberi video surveillance platform is highly reliable, secure, and network-optimized for megapixel quality. Razberi’s intelligent video solutions can be deployed in flexible combinations, with options for data center, edge, and rugged applications. All offer low total cost of ownership, enterprise-class performance, and innovative automation with centralized monitoring and management. Razberi CameraDefense™ software automates cybersecurity protections with camera hardening and cyber threat monitoring. Razberi Monitor™ health monitoring alerts security professionals to issues 24×7. Razberi appliances are compatible with top video management systems (VMS) and any network camera. The company is headquartered in Dallas. For more information, visit razberi.net. © Copyright 2019 Razberi Technologies, Inc. All Rights Reserved.